Woorank - Provides instant website review. Marketing Grader - Provides an overview on how good your marketing efforts are and grades you on a score of 100. Screamingfrog- It lets you quickly analyze all the faulty elements present in your website like duplicate pages and robots.txt error. When you wish to check the meta details of a large site having thousands of pages then this tool is worth trying. revenue, content, hosting, color etc. Seoptimer- Quickly analyzes the basis SEO factors and provides a PDF version of the final generated report. TrafficTravis- Performs a complete SEO health check even monitoring your Adwords competitors. Seoworkers- It analyzes the HTTP headers, robots directives and other technical aspects related to SEO auditing. Lipperhey- Allows you to enter 5 search queries for which you want to rank and provides you with the details of your competitors. Spydermate- A low budget SEO tool that geenerates powerful SEO reports based on all the aspects of SEO. Upcity- Provides you with a basic SEO report card. Ahrefs- The big daddy of backlink analysis tools which offers a comprehensive and detailed report on the type of backlinks for any domain. Majesticseo- It allows you to compare the backlink history of 5 domains side by side. Opensiteexplorer- One of the best tools for link researched straight from the house of Moz. Analyzebacklinks- A free to use tool for getting an idea of the type of links your competitor is having. linkdiagnosis- Another free backlink checker tool offering basic optiond. Buzzstream- I simply love this tool as it makes the tasks of outreaching and list building so easy. Wordtracker- The oldest and the most trusted link building platform offering great resources and prospects for creating backlinks. Ontolo- The instant prospector of Ontolo easily outlines the best available resources for getting a backlink. Raventools- The Link Manager module of Raven Tools is simply awesome storing, categorizing and monitoring your link building needs. Linkdetox- Awesome tool for finding out all the low quality links pointing to your site. Linkrisk- It monitors the link profile of the site and finds out all the sources which are necessary for the evaluation of a low quality link profile. Moz- The world's most loved SEO tool backed by the reputation of Rand Fishkin. All the top brands use Moz in order to improve their inbound marketing efforts. IBP- One of the oldest and most preferred downloadable SEO software is International Business Promoter. It offers a wide array of essential SEO metrics to take action on. Hubspot- One of the most popular SEO software recommended by SEO experts. It provides data and insights for optimizing your site for high value keywords. 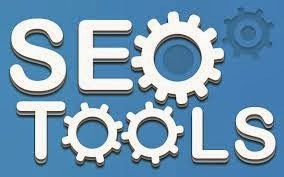 Please share your favorite SEO tool in the comments below.